Looking for a fun and easy summer activity with the kids? Host a backyard tea party! Serve up these tea party sandwiches made with fresh, seasonal cukes. Then serve up a refreshing cooler from our Summer Sips kit. Kids will learn to use measuring spoons, a butter knife, a paring knife, a veggie peeler (see Summer Sips Kit)and a platter or large plate. The skills learned include measuring, spreading, making sandwiches, peeling and slicing. They’ll use cucumbers, mayonnaise or softened cream cheese, salt, very thin white bread and very thin wheat bread to make this fun recipe. ‘Tis the season to eat up lots of fruits and veggies! Kids can keep track of their eating adventures on this fun coloring sheet. 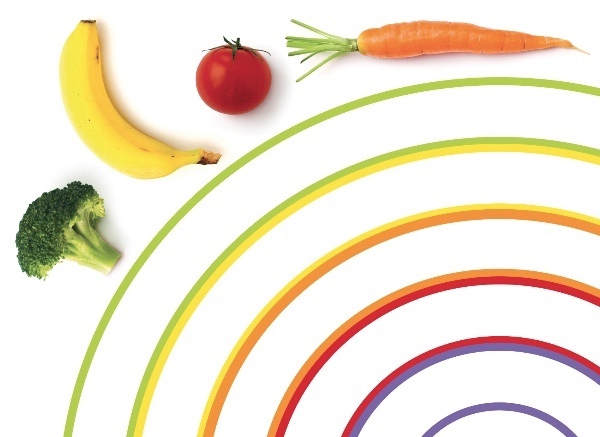 At the end of a week of healthy eating, the rainbow will be all colored in! They are arranged to give you different rainbow colors for every day of the week on the printable coloring sheet. It’s almost time to go back to school! Need lunch ideas? 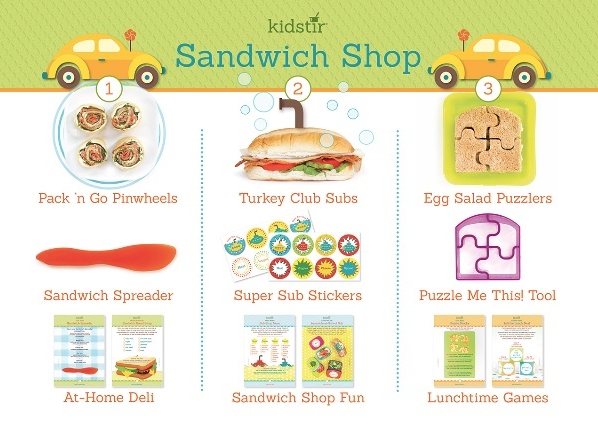 Get ready to make yummy lunches with August’s Sandwich Shop kit! Find out how to roll up Pack ‘n Go Pinwheels, assemble Turkey Club Subs, and put together Egg Salad Puzzlers. 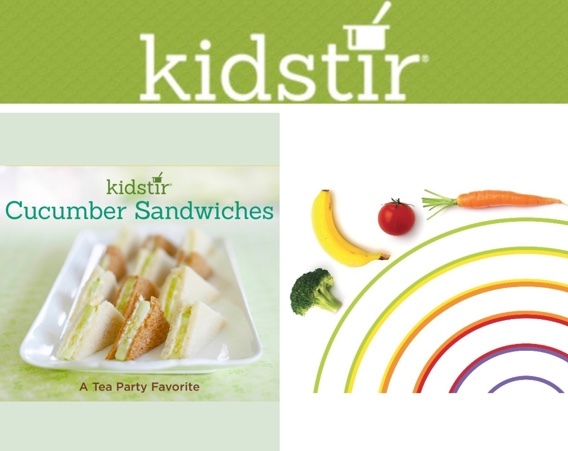 Want to join Kidstir? Use code SCHOOL25 to get 25% off the first kit of your new subscription. Act soon, these kits will go fast!